Maybe you dream of riding your motorcycle to remote parts of the world many will only dream of or maybe you just want to ride through the local forest service roads to get to your favorite campsite for a weekend away from the grind. Maybe you are strictly a road-going motorcyclist but you want to improve your riding skills and gain confidence on two wheels when hairy situations arise. You may have already ventured off the asphalt but are looking for extra tuition and confidence. We offer training for all skill levels from basic to advanced. Our courses are certain to bring you a new perspective on motorcycling, even if you never leave the pavement. Off-road training is one of the best investments you can make, learning to quickly manage your machine in limited traction situations can be a lifesaver. 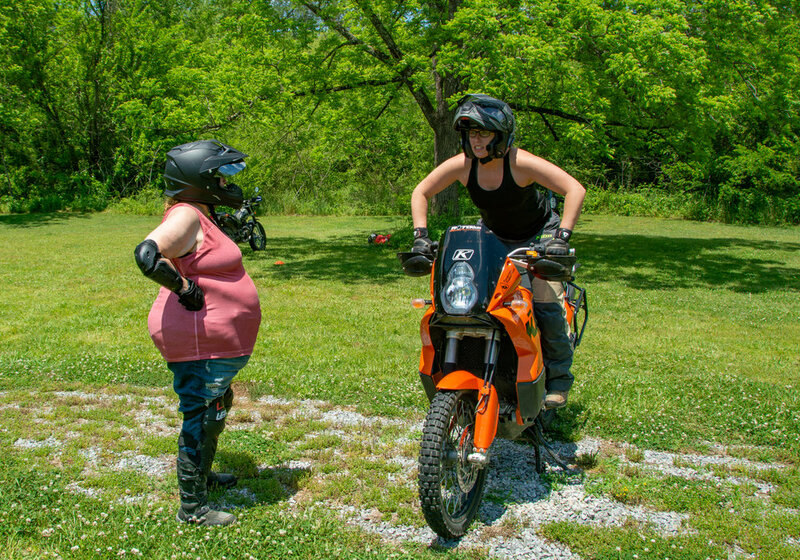 To schedule your private off-road training course, contact us today! Not in our area? We will travel to you!